According to DAWN News channel, PIA Pay Group Five employees/officers are still waiting to receive salary for the month of November despite passage of first two weeks of December. Around one billion rupees in salaries are due to be paid to these employees. Pay Group One to Four employees of the airline got their salaries last week. The cash-strapped airline is waiting for transfer of amount of money approved by Economic Coordination Committee (ECC) of the Cabinet to pay salaries. The employees can expect to receive salary on Monday (December 18) in case funds approved by ECC are transferred to PIA on Friday (December 15). In case transfer of these funds to PIA is delayed to next week then there can be further delay in distribution of salaries. 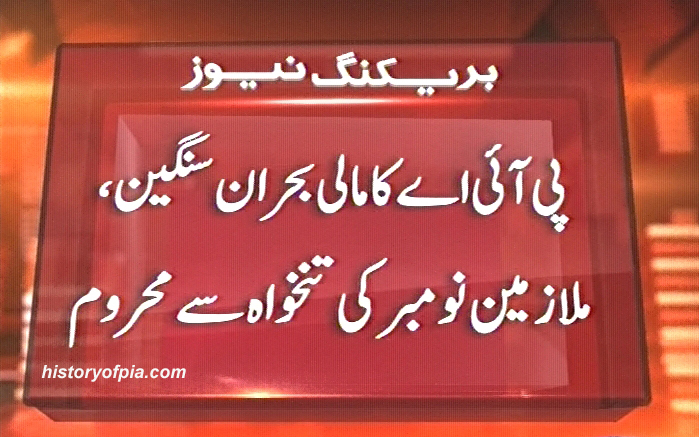 PIA is making arrangements to pay salary to employees soon, according to airline's spokesperson.